This boat is decked out for family fun! Well maintained with many upgrades and priced to sell quick. This Sea Ray 270 Sundeck is outfitted with extras such as a heavy duty, custom fit wakeboard/water ski tower that includes bright aft lighting above. Extra-large Bimini top on a sturdy frame. Two removable tables with cup holders and the bow table even has a detachable shade umbrella! There is a small cabin with port light and a super comfortable cushion that can sleep two people. Two swim ladders, one forward, one aft. A cooler cabinet under the bar with enough room to open the lid without having to pull the whole cooler out. A great Clarion sound system with many speakers. Blue lights for fun dock parties, and many more little features that make this boat perfect for family fun whether your goal is to water ski and tube all day or pulling up to the sandbar to party with fellow boating friends. Mechanically this Sea Ray 270 is sound and well maintained. There are only 308 hull hours, but there are even less on the engine. It was replaced with the more desirable MerCruiser 5.7, Bravo 3, multi-port injection engine sometime between 2015 and 2018. (Sorry, there is no formal documentation from previous owner on the exact date of repower) This motor runs strong and quiet. Current owner has even added a keel shield under the outdrive for more protection when heading to the sandbar or navigating shallow waters. This boat trims out easily for a smooth ride for the whole family and is easy to operate for the captain. Current owners really enjoy this boat but have decided that since the family has grown, it is time to upgrade to a larger boat. Owners would like to sell this boat before the holidays, so they can upgrade soon, so they have priced it right for a quick sale. This boat was just hauled out for annual maintenance, zinc replacement, and a new coat of anti-fouling paint on outdrive and trim tabs, and a hull buff. This is a true turn key boat. Sale price includes aluminum trailer and 2 canvas covers. Enjoy the carefree elegance of this graciously appointed Sea Ray 270 Sundeck. Luxurious extras include a cozy starboard berth with portlight, large head compartment with sink and vanity, integrated swim platform with concealed ladder, and handy wet bar with sink, faucet and built-in cooler. 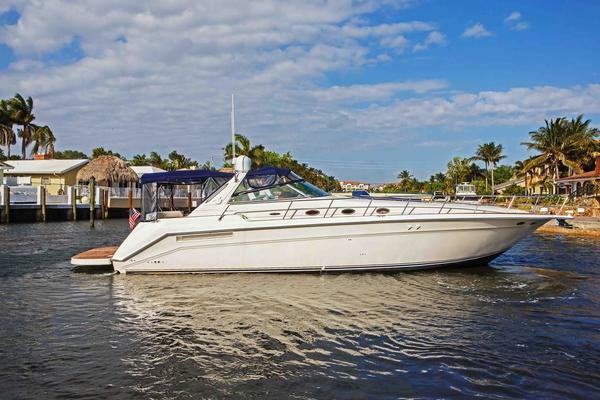 Our Sea Ray listing is a great opportunity to purchase a very nice 25' 270 Sundeck. 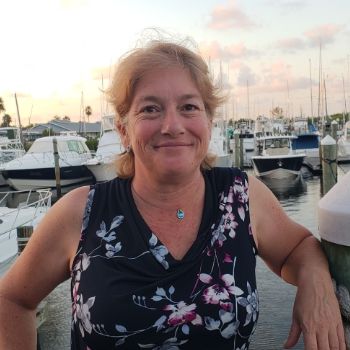 She is currently listed with United Yacht Sales broker Mary-Beth Merendino who can answer all questions about the boat for you. Please don't hesitate to reach out to our team of professional yacht brokers to schedule a showing. There are many yachts listed for sale on the MLS each with a different history. We look forward to helping you complete your search for the perfect boat or yacht for sale.